Hayao Miyazaki's Studio Ghibli never ceases to amaze audiences with their illustrious and fantastical animations. The following top 10 list takes a closer look at some of the studio’s greatest pictures. 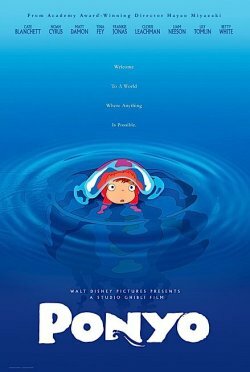 The award-winning Ponyo is based on an unusual friendship formed between the 5 year old son of a sailor and a beautiful goldfish princess who yearns to become a real girl. Sosuke rescues the small, aquatic princess and names her Ponyo after finding her trapped in a glass bottle. 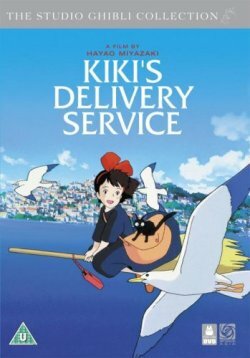 The daughter of a sea goddess and a powerful wizard, her magical father performs sorcery to make her human and Ponyo finds herself falling for Sosuke. However, as the story unfolds and the two’s friendship deepens, consequences are soon realised from the power wielded to make Ponyo human. After helping a strange cat from oncoming traffic, young Haru finds herself being showered with gratitude from the King of the Cats in the form of gifts and favours; much to the dismay of his feline followers. But Haru gets more than she bargains for as the mysterious King wants seeks to marry her to his son, Prince Lune. 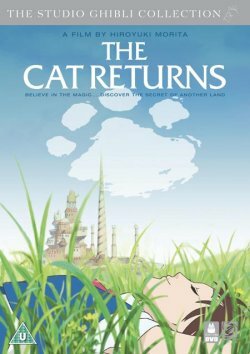 With the help of a rotund, grumpy ordinary cat and an elegant cat sculpture come to life Haru must find a way to escape the Cat Kingdom before it’s too late! 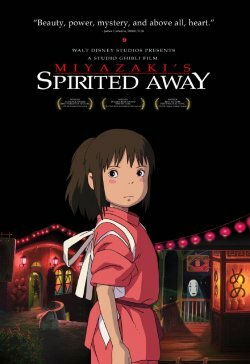 The Oscar-winning, Spirited Away, is another epic feat from the producers at Studio Ghibli. This enchanting tale exudes an extraordinary imagination and a delightful narrative. 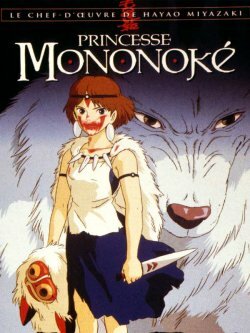 Young Chihiro finds herself inadvertently stumbling in to a mysterious realm filled with strange creatures, gods and spirits and magical places. After being terrified by the unusual things she finds in this weird world, she runs to return to her parents only to find they’ve been turned into pigs and her way of escape gone! 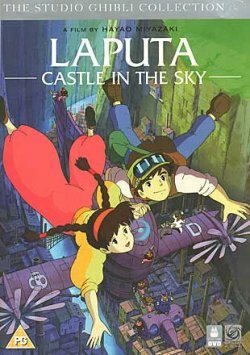 She meets a young boy, Haku, who finds her a job and promises to help her parents and herself escape. This tale begins with a young warrior stricken with a curse from a rampaging boar-like demon after protecting his village from its attack. Whilst on his way to seek out the cure for the mysterious curse, Ashitaka finds himself caught between the warring sides of a mining colony, Tatara, and the gods of the forest. During his quest he meets San, the Princess Mononoke. 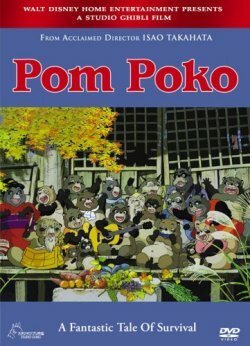 This is the touching tale of a community of shapeshifting racoons desperate to save themselves and their forest homes from the concrete monster of urban development and its resulting threat of extinction. It’s the 1930s in Italy and air pirates, bounty hunters and sky high fliers of all kinds dominate the heavens. 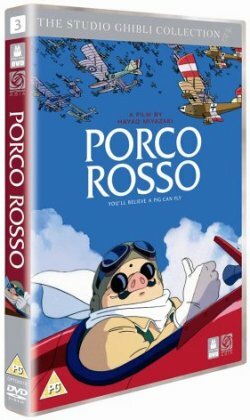 The most cunning and skilled however is former Ace pilot, Porco Rosso. He now makes his living flying contract jobs and rescue missions – that’s when Donald Curtis, his rival in the air, isn’t challenging the hero (and stealing all the women) with various obstacles and hindrances. This is the tale of thirteen year old witch, Kiki. She begins living her compulsory year of independent life, where she settles into a new community and starts running her own air courier service. Kiki is ready to take on the world and extend her horizons despite her initial challenges, all with the help of newfound friends and her close companion and talking cat, Jiji. This is a tragic but touching tale of friendship, loyalty and self-discovery as brother and sister, Setsuko and Seita, struggle to survive in wartime Japan. Their mother is killed in an air raid and then the duo are left homeless following quarrels whilst living with family relatives – oblivious to their soldier father’s whereabouts, the two must somehow strive to keep a roof over their heads and food in their stomachs. Two young girls, Satsuke and her younger sister Mei, move into a house in the country with their father to be closer to their hospitalized mother. 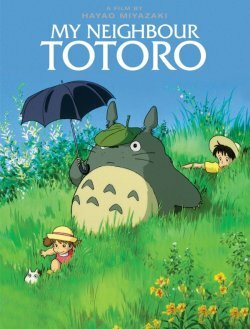 The two discover that the nearby forest is inhabited by magical creatures called Totoros. They soon befriend these Totoros, and have several magical adventures!